FitzGerald has become a force in Interior Design taking on new projects in corporate, hospitality, and multifamily sectors in cities across the country. 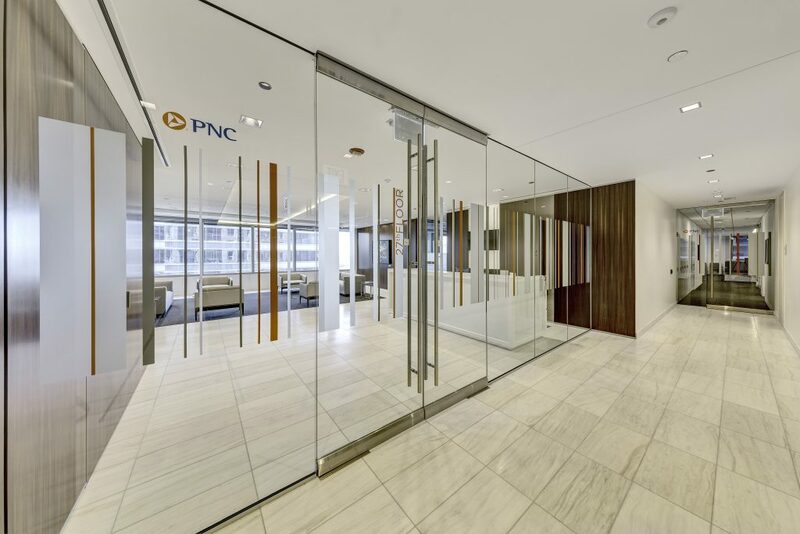 FitzGerald has recently completed work on a corporate interior build-out for an executive team at PNC Bank, designing 11,000 square feet of private office suites, conference rooms, support staff stations, and a reception area on two floors of their Chicago headquarters at One North Franklin. 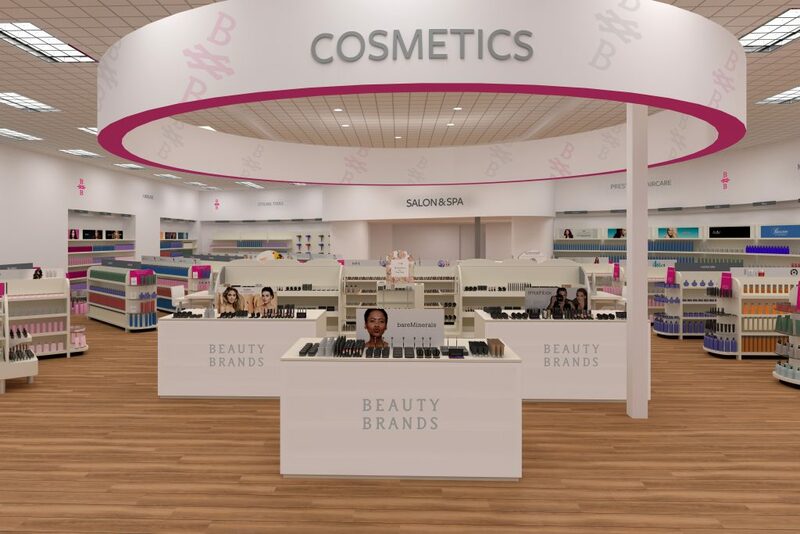 FitzGerald is also in the early stages of designing the expansion of a creative office space for online retailer Chewy in Boston, Massachusetts. Headquartered in Florida, Chewy employs over 1,000 people and is experiencing exponential growth–along with the related need for creative office space. 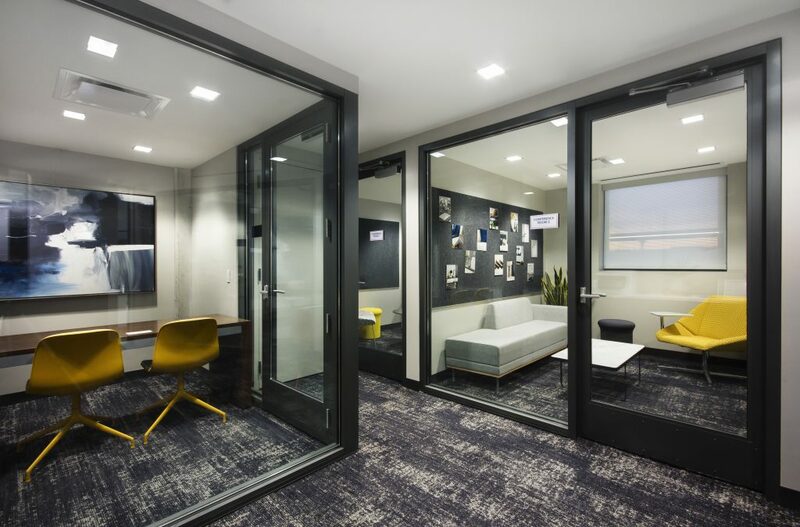 Chewy sees their future office–which will grow to approximately 43,000 square feet–as more than a workplace: they understand that their space is a recruiting and retention tool. Accordingly, we are including a variety of gathering spaces as well as touchdown workstations to allow flexibility and growth potential. “Our designs need to be on-trend, but still relevant when the next lease cycle comes up,” Larkin says. “As time gets more scattered between the home and the office, we’re seeing comfortable environments gain steam in creative offices. This is where our hospitality background makes us well-suited to assist clients in this transition. FitzGerald’s interior team has defined a specialty for taking tired and underutilized spaces, regardless of their market use and injecting new life through compelling interior design. 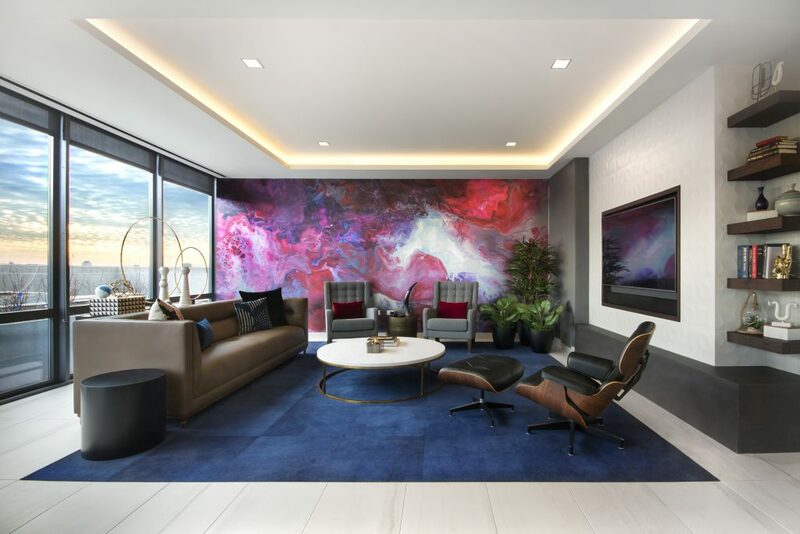 That trend continues into the hospitality market, where FitzGerald is providing interior design services to Schulte Hospitality for the renovation and upgrade of a major hotel property in Miami, Florida. 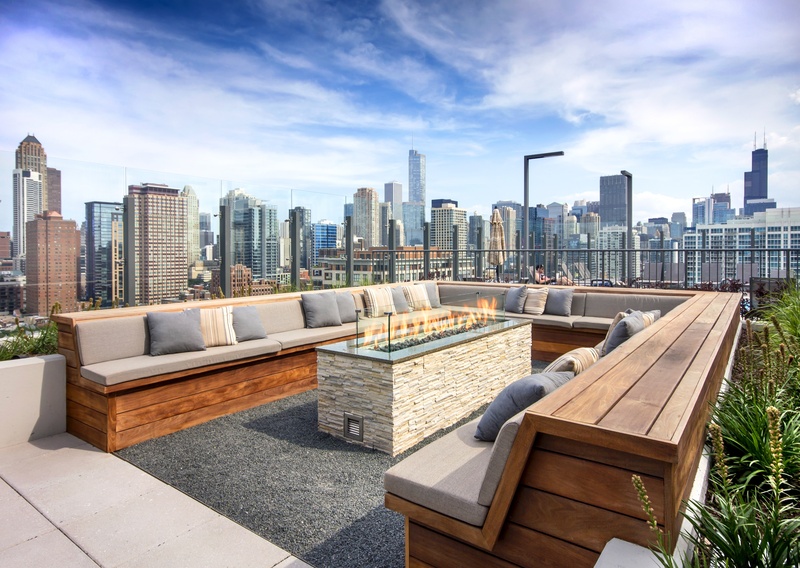 Interior design scope includes upgrades and modifications to the four-story hotel’s 100+ guest rooms to enhance finishes, improve spaces, and accommodate greater accessibility. 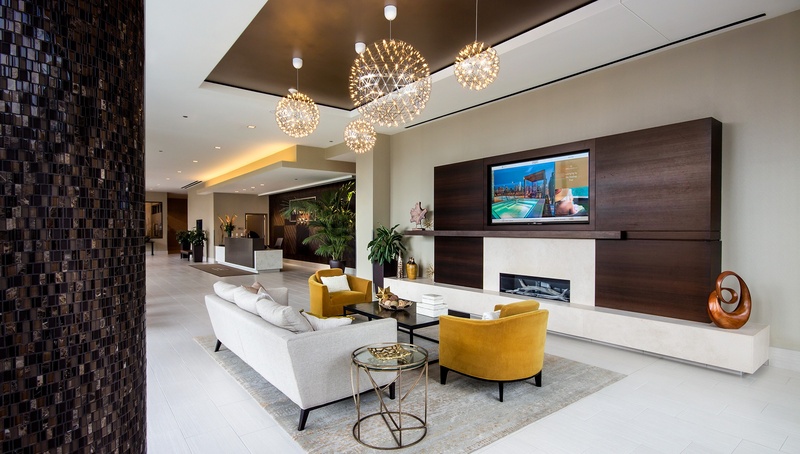 Back on the residential front, FitzGerald’s team has put the finishing touches on the interiors at The Emerson, a mixed-use, transit-oriented development in Oak Park, Illinois where leasing is already exceeding expectations. The Emerson offers 270 luxury apartments in two buildings which each convey a distinctive aesthetic targeted to different groups of consumers. 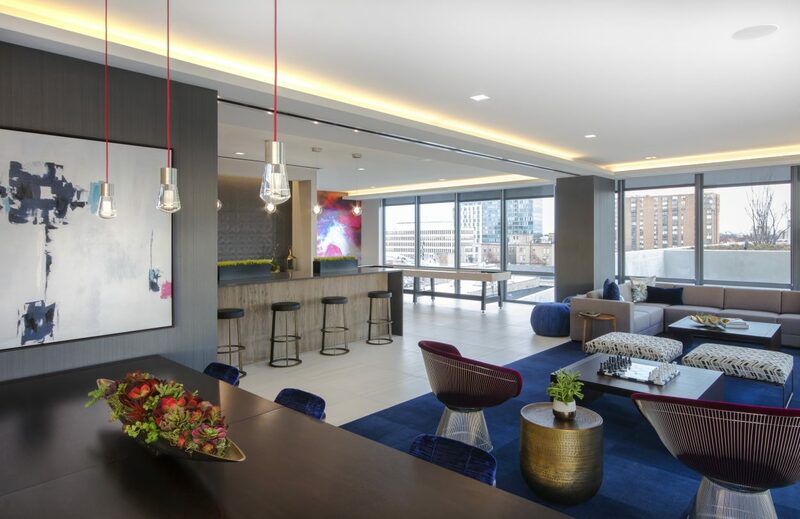 The development’s low-rise component features warm finishes in the public spaces, finished ceilings, and traditionally-sized windows, while spaces in the adjacent high-rise take on a more urban loft feel, with exposed concrete, contemporary finishes, and walls of glass framing skyline views.